You can contribute to Archintorno’s work by making a donation or by becoming a volunteer. Italian residents! 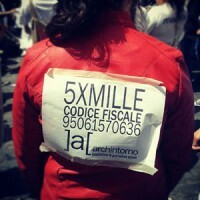 Donate your 5×1000 to Archintorno! Take part in our ongoing activities. Once we review your proposal we’ll be in touch by email.